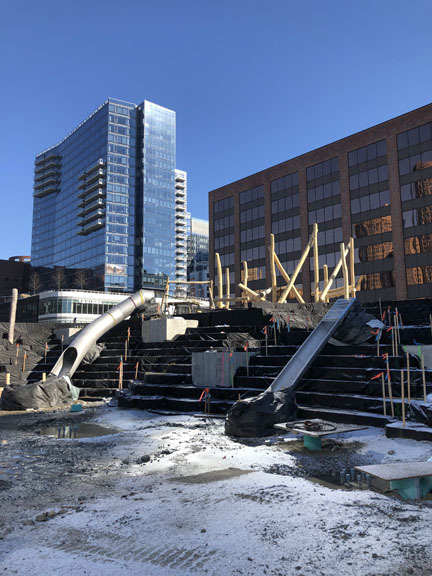 This Martin’s Park update will fill you in what has been happening on site and what to look forward to over the winter. 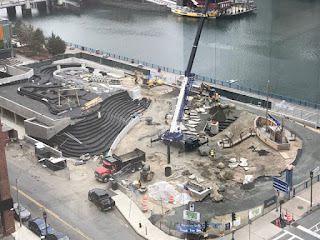 Even with the cold weather, the contractor has been making excellent progress and plans to continue working as weather allows. 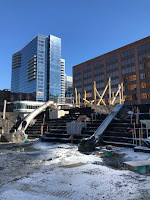 The central retaining wall was poured. Stepper stone installation has started. Additional locust posts were installed. 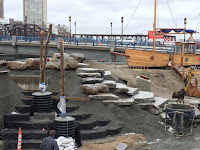 Water garden wood seating install has started. 100% of geofoam has been installed. All foundation work for major play elements has been completed. Log climber has been installed. Cosmo climber has been installed. Lightpole bases are 100% installed. 100% of major play elements are installed. 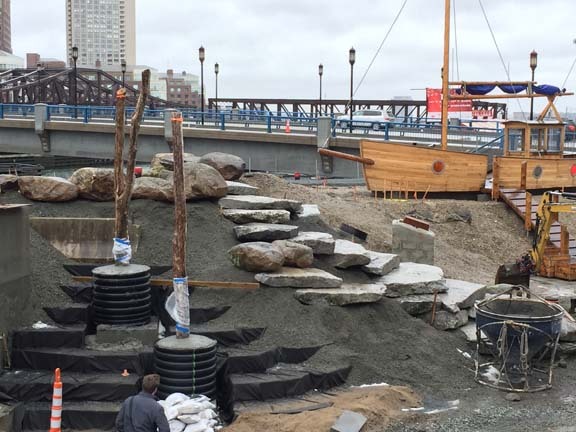 Continued work on wooden seating area at water garden. Granite install on edges of slide area. Continued coordination with subcontractors to plan for spring planting installation.